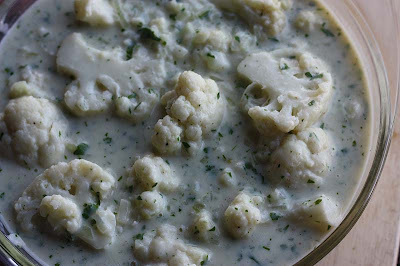 Creamy, cheesy cauliflower – for some people these ingredients shout and scream 'comfort food', but not me. 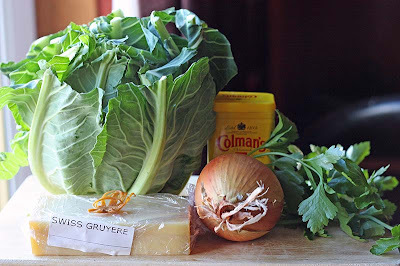 As you may remember I am not particularly fond of the cauliflower, but today I am easily persuaded to change my mind, especially when the weather outside is blustery and rainy. Something deep and warming like this, well it just sounds so comforting. To prepare the filling, cut the cauliflower into small florets and steam until just cooked. Drain and set aside. Melt the butter in a saucepan and fry the onion until soft. Add the flour and cook, stirring for minute. Remove from the heat briefly while you gradually whisk in the milk. Stir in the mace, mustard, cheese if using, parsley and seasoning. Return to the heat and cook, stirring until thickened. Add the cauliflower florets to sauce and stir well until coated. Turn into a pie dish. Roll out the pastry on a lightly floured surface and cover the dish. Flute the edges and make a hole in the top of the pie to allow the steam to escape. If you wish decorate with leaves from the pastry trimmings. Optional: Brush pie with beaten egg. Bake at Mark 7 for 25 to 30 minutes or until the pastry is risen and golden. Mm, that looks good. Never thought of making a pie with cauliflower. Thanks for the idea! I haven't eaten cauliflower in a pie before, but it looks tasty. sometimes I think that even a boring vegetable can taste good under a puff pastry crust :-)!! I am also not n.1 fan of cauli, I prefer broccoli, but like this I could eat it for sure! Another one to add to my growing list of things from your blog I want to try - looks yummy! In my haste to post this, I forgot to say. I didn't mind it too much. I just found the mustard a bit strong for my taste. Your welcome Scattered Gardener. Thank you so much for coming by. I have a couple of more cauli dishes to post. I'll keep in mind to make a pie with broccoli next time. The puff pastry does make it a little more appealing. the more I think, I actually think I am still a fussy vegetable eater. I am not a big fan of brocolli either, but I adore the stalks. The dijon mustard was certainly different for me. My husband liked it, but he liked creamy, cheesy cauliflower dishes. Looks lovely. I love pastry...unfortunately I loathe cauliflower and broccoli. I often feel quite guilty for not eating them. Have just found your brill blog. I have to commend you on your beautiful photography. Thank you so much GreenFlag. I share the photography with my husband, but I think its a lot more to do with the camera as well as we really are amateur photographers. I am more than delighted to add you to my blogroll. I started over a year ago and hardly had any comments (or followers) for 4 months, so I know what its like to get started. Also Thank you so much for becoming a follower too. I am always humbled by fellow readers when they choose to become a follower, its a huge compliment. I've been really enjoying catching up on your blog and all the wonderful recipes and easter photos. 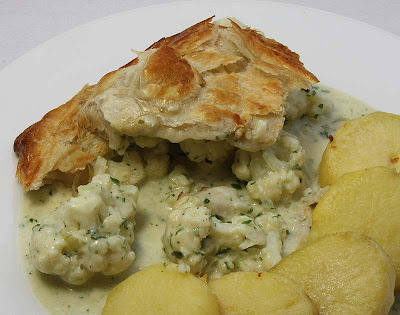 I love cauliflower - my mum made lots of cauliflower cheese when I was young so it is comfort food for me - and this pie looks like wonderful comfort food. In fact my mum's cauliflower cheese was so good she would make extra and we would take a warm plate of it to our neighbour. 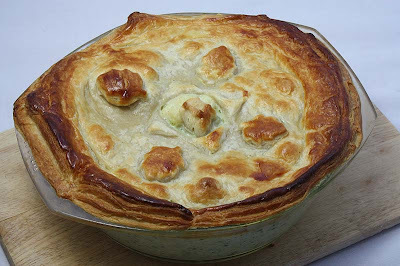 I hope you might find your special cauliflower dish that makes you as happy as just seeing this pie recipe does for me! Why am I not surprised that you like cauliflower. I wish I did as much as you. Its rally kind of your mum to give a plate to your neighbours then. This is something my mother still does - the sharing of food. Thank you so much for giving me these lins to your cauli recipes. I have two already bookmarked that I want to try, then I may just be tempted by cauli peanut curry. Thank you so much once again, it is truly appreciated. I want the pie!!!! I am stil at work... and will be at work... and i am so hungry... and it looks yammyyyyy!